lifestyle apps and social media marketing. Health content licensing is a cost-effective alternative to developing in-house content for busy health marketing departments. That’s why hospitals, health plans and pharmaceutical marketers have been licensing health and wellness content from Baldwin Publishing for more than 25 years. Our fresh and engaging content motivates your consumers to live a healthy life. Our ready-to-customize content delivery solutions promote your products and brand. 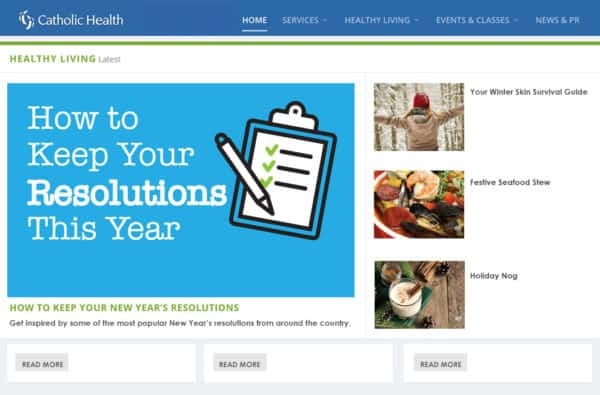 Baldwin’s most popular health and wellness content features daily wellness tips, healthy lifestyle hacks, Health eCooking® recipes, digital videos, infographics, quizzes and images. For medical service line marketing, we offer extensive white-labeled content libraries for cardiac, cancer, diabetes, orthopedic, bariatric and behavioral health services. 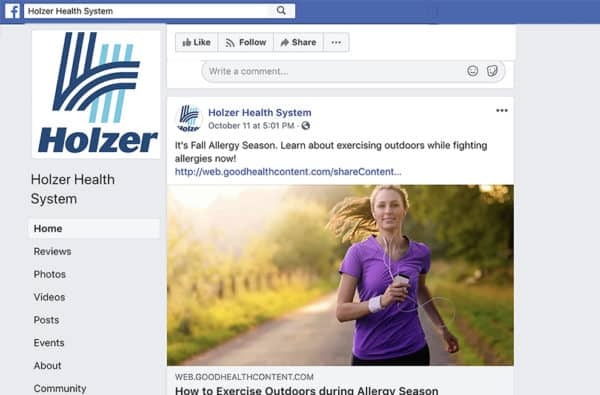 If you need health and wellness content to fill your blog, boost social media engagement or drive more web traffic, we have content to support your health marketing goals. We provide white-label health content that’s easy to customize and brand. All of the health information we publish adheres to medical industry review standards, is certified by medical professionals and is based on current research and health trends. A hospital blogger needs to post every day. But feeding a hungry blog takes a toll on your marketing team and eats up precious in-house resources. We can help. Baldwin Publishing produces seasonal health articles, infographics and quizzes that you can customize and post to your blog. We’ll curate content so you can fill your blog with timely and relevant topics that promote your medical staff and services. 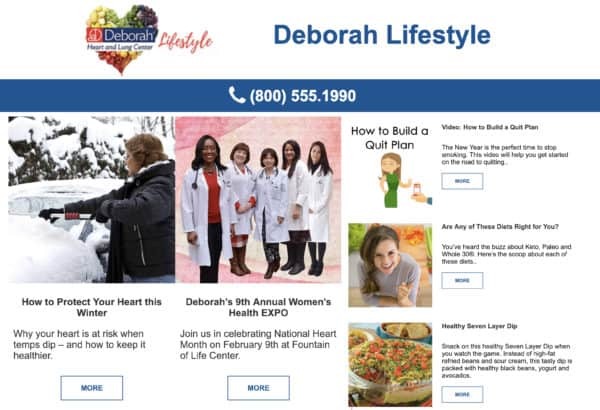 Fill your website with seasonal content that inspires healthy living and keeps readers clicking. We load your website with new licensed health content every month that is curated just for you. Each article, recipe, quiz, infographic and video is designed to promote your key medical services. We do all of the editorial and design work so you don’t have to! Now you can post to Facebook every day. Our popular social medial content packages include daily wellness articles, images, recipes, quizzes, infographics and videos. Every social media package includes a content posting guide that suggests the best days to post content to generate the highest engagement. We make it easy to share content on all social platforms. Enewsletters are the most effective outreach to connect with your community. Our turnkey digital newsletter solutions build your subscriber base, deliver content to engaged readers and drive them to your website. In addition to our licensed health content, we can integrate your custom content into each newsletter issue. 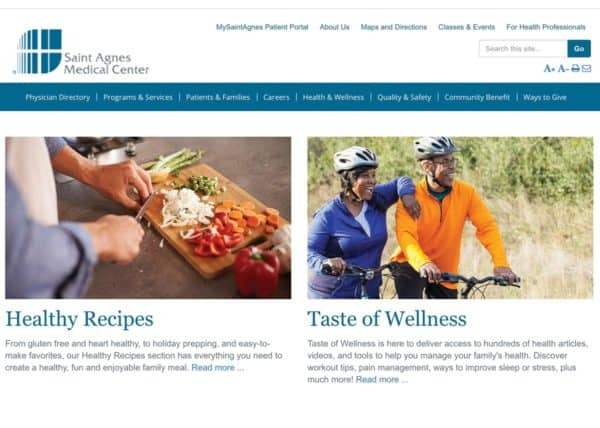 high level of engagement to our use of Baldwin’s content on the blog…"
with little-to-no-work required by our team…"
Learn more about licensing Baldwin’s healthy recipes, wellness articles and video content. Call 800-705-6522 or complete the form below.